So you have been doing the Elf on the Shelf thing for a year or two and this year you thought…I am just gonna skip it. Then your kids pipe up wondering when the elf is going to make an appearance. Sigh. 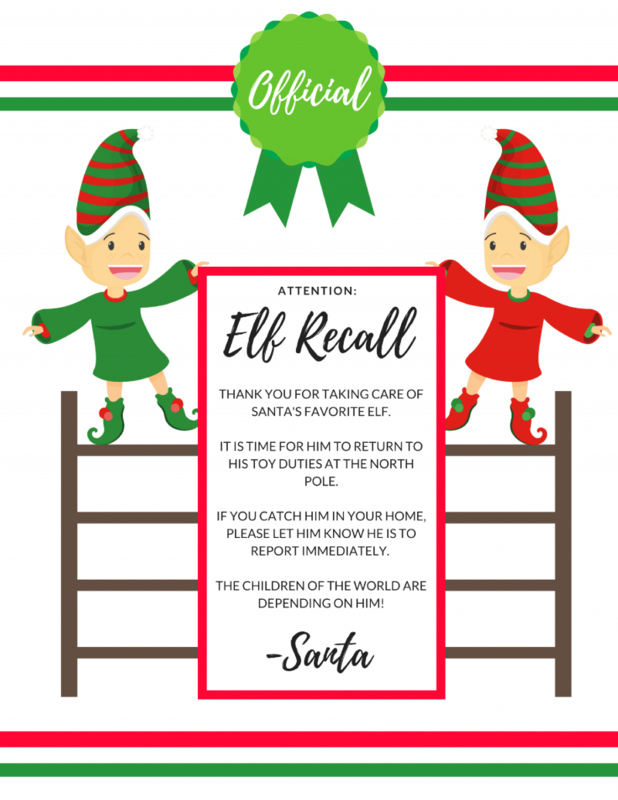 You can always send them an Elf Shelf Goodbye Letter to permanently get rid of him, or you can play a bit and then have an Elf Recall! 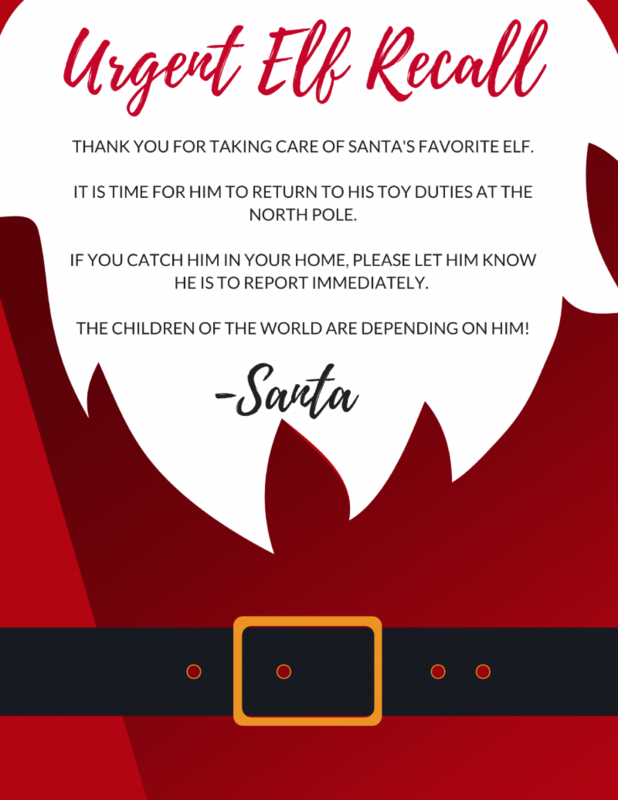 Yep, send your kids an official announcement from Santa telling him he has to report back to the North Pole for toy duty! No more elf ideas or worrying about the elf moving every day. Your elf is THE most IMPORTANT elf and he has to go back and save Christmas! Head to your desktop, download these FREE PDF files, and Print! Scroll down and hit the link OR the image that you want to download for an instant PDF file to print. Looking for more ? Also check out this Elf on the Shelf Goodbye Letter free printable from my good friend over at 730SageStreet!